Here is a friendly reminder to clean your car off before you leave your residence or place of employment. 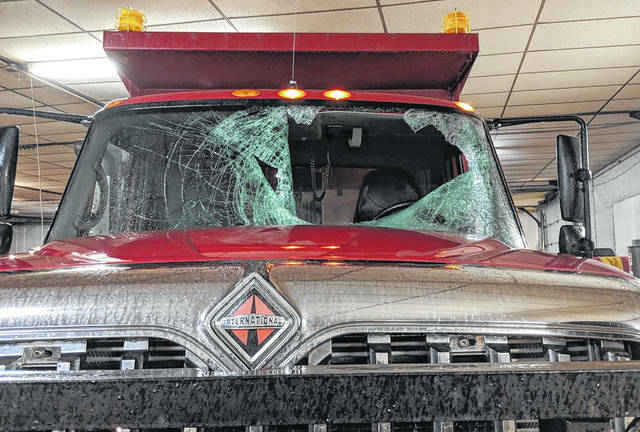 Wednesday morning a Morrow County plow truck was struck by a chunk of ice that came off the top of someone’s vehicle. The driver of the plow truck escaped with no injury, but the county is down one plow truck.